My brand, new Nexus 5 32GB model just arrived in the mail today. I am not sure what happened as it’s supposed to ship at the end of this month but got shipped much earlier. Anyways, here’s my first, initial thoughts on it. The all-new Nexus 5 built (again) by LG is the predecessor to the Nexus 4. The Nexus 5 has gotten slightly longer and thinner than Nexus 4 while internal hardware has been upgraded with full 1080P HD screen with Gorilla Glass 3, Qualcomm Snapdragon 800 SPU with Adreno 330 GPU (identical to one on Note 3), 2GB of RAM, and 16 or 32GB of internal storage. While not much has changed from the outside, the Nexus 5 feels much lighter and also better in the hands. Also, Nexus 5 now supports AT&T, T-Mobile, Sprint and international GSM/4G LTE bands out of the box, this may be a first on a smartphone. There are other phones that can do this with a hack but none that can do it out of the box like Nexus 5 can. Although Nexus 4 has 4G LTE support for T-Mobile through a hack, Nexus 5 now supports both AT&T and T-Mobile 4G LTE out of the box. It also support AWS bands for T-Mobile’s older HSPA+ network. Overall, I am very impressed with Nexus 5. What impresses me the most isn’t the cutting-edge Qualcomm 800 processor clocked at 2.3Ghz, 1080P screen with very little bezel, or the Android 4.4 KitKat update with lots of new features but the price. Price is simply right as you can’t get better than this. For $349 you can get the 16GB model or $399 for the 32GB. This is unheard of when carriers get in-between the manufacturer and the consumer but since Google is promoting more open-type of business, we are getting a really good deal at under $400 for a fully, unlocked smartphone. You can probably expect to pay at least $600 off contract on any U.S. carrier but thanks to Google, even those of us who are less privileged can buy the greatest and best Google phone, which is quite on par with other flagship smartphones on the market today. Certainly, Nexus 5 will never have features like a Note 3, S4, or HTC One. But then again, it does feature a better processor than S4 or HTC One along with Android 4.4 KitKat that has been pretty much handmade for the device. If you don’t need extra features like IR sensor, removable battery, etc…etc… you cannot go wrong with the Nexus 5 for the next 2 years. I love Nexus devices. Should I get black or white one? Any update on whether Nexus 5 is truly carrier neutral for the US, i.e. also works on Verizon? You didn’t list Verizon above but then the specs (and an article I saw somewhere) seem to indicate it ought to work on Verizon too. Next story How to Disassemble Nexus 5 for Repair! 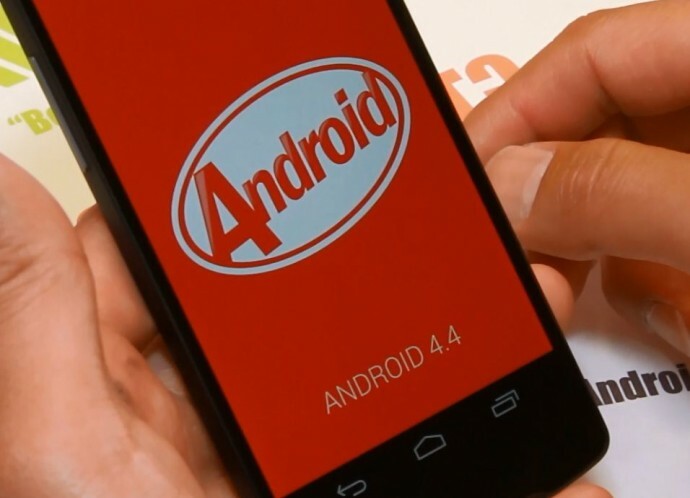 Previous story Top 10 Android 4.4 KitKat Features!